Greenpeace attempted to hide the results of a survey that indicates more people support fracking than oppose it in a seemingly innocuous footnote within its press release. The embarrassing statistic that 42 percent of people supported fracking, while only 35 were against the drilling technique, was placed in a footnote of the campaign group’s data. 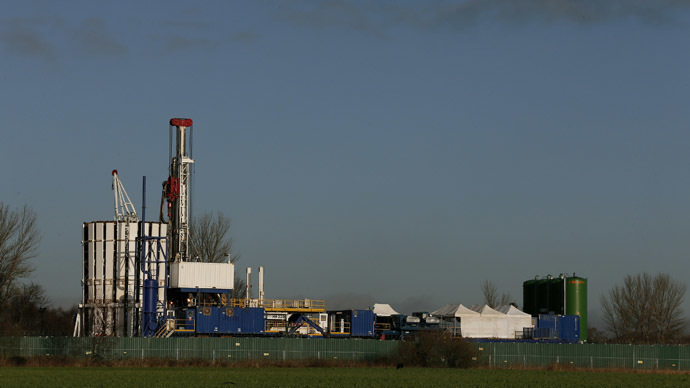 The survey published by the group was released in an attempt to rally support for the anti-fracking movement, but the figures they unwittingly discovered suggest support for the method of shale gas extraction is far more popular than government surveys have suggested. Only 24 percent admitted to supporting fracking in the latest Public Attitude Tracker survey from the Department of Energy and Climate Change, published in February this year. This survey notes that a similar proportion was opposed to the measure, and half were undecided. It found that fracking had the grey vote, with support from those aged 65 and over at 58 percent. It also discovered that men were almost twice as likely to be in favor of drilling for shale gas as women, with popularity among men at 56 percent but among women only 29 percent. Rather than focus on fracking’s popularity in its press release, Greenpeace chose to examine the impacts of politicians supporting fracking. They said candidates would lose more voters than they would gain if they openly declared support for fracking in the local area. The group also found nearly a third of voters would be less likely to back a candidate who supported fracking, much higher than the 13 percent who said they would back a candidate due to their support for the drilling technique. Greenpeace and Friends of the Earth have asked candidates to sign a “frack-free promise.” Some 100 Labour candidates have signed the pledge, along with 104 LibDems and over 400 Green candidates. No Conservatives have so far signed.